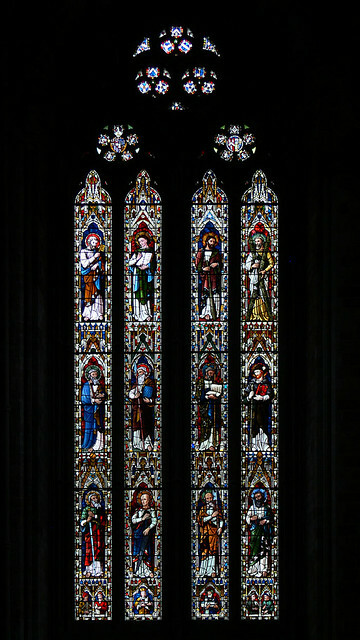 Lavers, Barraud, and Westlake were part of the Victorian Gothic Revival of stained glass. Originally Nathaniel Wood Lavers and Francis Philip Barraud had worked for Powell & Sons, and Lavers started his own studio in 1855 and was Barraud joined him in 1858 as the designer. After ten years they were dissatisfied with their designs and on the advice of the architect William Burges hired Nathaniel Westlake as their chief designer. The company also produced designs by freelance designers, including John Clayton, Edward Burne-Jones, Michael Frederick Halliday, and Lewis F Day.